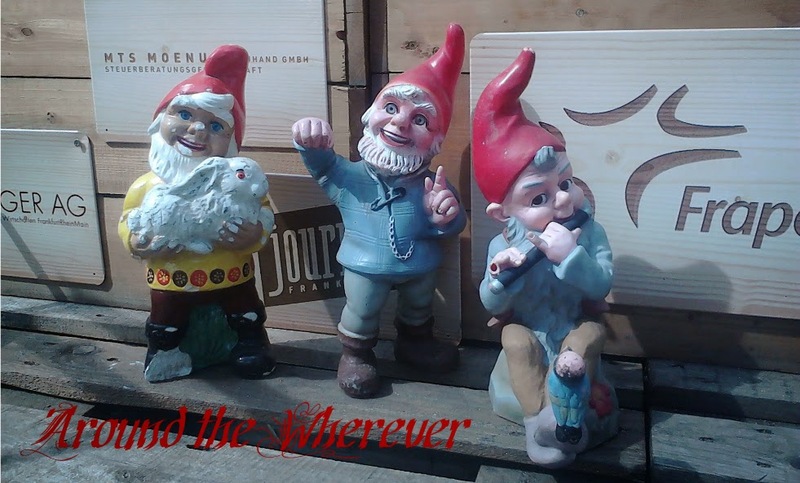 Around the Wherever: My week: June 7 ed. -German lessons x4, plus meeting with my tandem speaking partner. -It was a busy, tiring week and many things needed troubleshooting at work. Despite my tiredness, I decided to invite some friends over for dinner on Saturday night. -I ran around like crazy on Saturday. I started the day with getting a haircut and picking up a few last minute things. Then I hurried home, prepared everything for dinner, and cleaned the house, which took the whole afternoon. My friends came over and dove into dinner, enjoying it with gusto. Moo pranced around, begging for attention, which he received in spades. After dinner, two of the friends left but K stayed and we went for a walk along a trail and then stopped for a beer. The next day, we went strawberry picking at Selbstpflückfeld Kaiserslautern, which is located at the eastern edge of town. 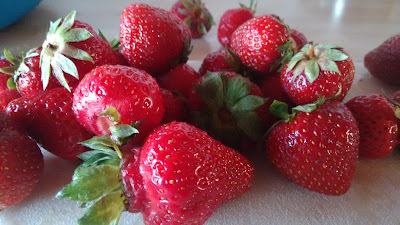 We both picked a huge amount of strawberries; I picked three kilos. That then left me responsible for cleaning them and hulling them at home. Hmm, it looks as if some freezer jam is in order. That will be my project in the upcoming week.